Installing a new driveway is a big deal! Not only does the new front drive need to have the ability to support the weight of your vehicles and be fully functional, but it also needs to look great. An attractive and durable driveway, after all, can improve the curb appeal of your home, thus increasing property value. In order to accomplish these objectives, though, you need to select the right materials for the job. Not sure where to begin? No problem. This post will explore your different driveway stone options and how to select the right size stone for your needs. When it comes to constructing a new driveway, size matters. You can’t just scrape any stones together and create a beautiful surface to drive on. Instead, you’ve got to take the time to figure out how large or small your stones will need to be in order to accommodate your needs. Choosing stones that are too small could compromise structural integrity or even create issues with traction, while oversized stones may puncture tires or be difficult to drive across. Doing your homework and finding the stones that are “just right” will save you a lot of time, stress and money in the long run. The subbase of your driveway acts as the structural support for the entire thing. Consequently, you’ll need to choose large, heavy stones for this part of your project. Large chunks of limestone or 2 1/2″ crushed stone are a great idea. Your driveway’s base sits atop the subbase and is comprised of slightly smaller crushed stone. In order to make sure that voids are eliminated, you might also consider pouring very small gravel into the mix or using stone dust and/or fines. If you’re installing a crushed stone driveway, the surfacing material you choose will be the star of the show! Make sure that you pick crushed stone that is sized in a way that is safe for driving, promotes good drainage and looks fantastic. The most common sizes used for driveway surfacing are 3/8″, 5/8″ and 3/4″. Whether it’s surfaced with gravel, concrete, or asphalt, your driveway could benefit from being lined with an attractive border or edging material. These types of borders can serve multiple purposes. Some homeowners like creating some contrast between the driveway’s surfacing material and the remainder of the property. Others use edging materials to keep loose gravel in place. Whatever the case may be, it’s important that you know which size stone to choose. A paved driveway could be lined with any size driveway stone – from small pebbles to larger river rocks. It depends on personal preferences and the size and scope of the driveway and/or property. Gravel or loose fill driveways will need to be lined with a larger, heavier material in order to keep the stones in place while looking beautiful. Some property owners like the idea of sprucing their brand new driveways up even further by adding decorative boulders or stone circles at the entrance of the front drive. Boulders are large and dramatic, and can add a touch of sophistication and intrigue to any property. Geologically speaking, a rock is considered to be a boulder once it is greater than 10.1″ in diameter, but you may choose to go much larger than this. We suggest, though, that you take the overall size of your driveway and the remainder of your property into consideration. A short driveway that runs next to a small front yard, for instance, will look rather silly with two massive boulders shouldering it. Here, a smaller size stone would be more appropriate. You might consider surrounding your boulder with smaller stones or gravel in order to create further texture and dimension. Taking the time to calculate precisely how much stone you’ll need to complete your driveway is a very important step. Trying to “eyeball it” or guess about the correct quantity can leave you with major scheduling and budgetary problems. We recommend making use of a reliable online materials calculator like the one available on the Braen Stone website. 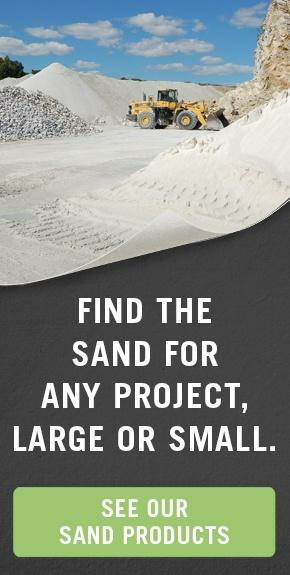 This calculator will require you to enter the length, width, and depth of your project’s coverage area in order to determine how many cubic tons or cubic yards of material to order. If you’re going to be using multiple types of stone and stone sizes, though, it’s vital that you perform a separate calculation for every individual layer, indicating the depth requirement for each. Record each number separately and present them to your supplier. For larger scale projects, you may find that you need to schedule multiple deliveries in order to get all of your stone to your project site. Be sure to plan out the scheduling of each truckload strategically. Having the stone intended for the top layer of your driveway arrive before the base materials have been delivered and unloaded, for example, will result in a big waste of time for everyone. To avoid trouble, schedule deliveries from the subbase, up. We’ve seen customers make the mistake of pouring one layer of crushed driveway stone directly on top of another without taking one critical step: compacting the stone down into place. This can create major problems with settling. Over time, this can create voids or can allow the different sized stones to become intermixed, both of which will take away from the overall level of strength and reliability of the driveway. Make sure that you use a roller or drive your vehicle back and forth across each layer until the stone is packed firmly together before you move on to the next type of stone. Braen Stone is the largest and most comprehensive driveway stone supplier throughout NJ and its neighboring areas. 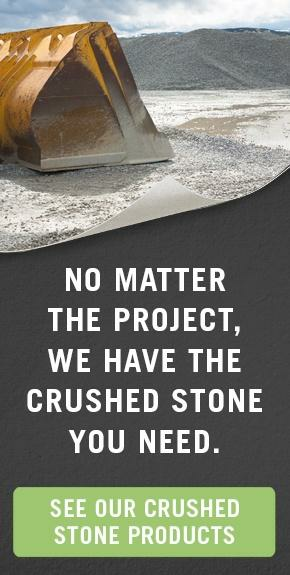 We carry stones of all sizes in order to accommodate all of your driveway construction and maintenance demands. The experts here are happy to make recommendations about the right size stone for your new front drive and can assist you with the process of determining how much material to order. All of our stone products are available at wholesale prices in order to keep your costs at a minimum. 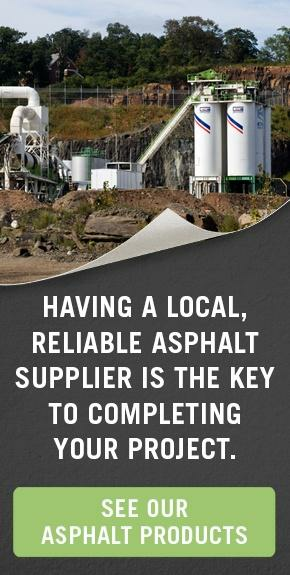 Our driveway stone can be picked up or bulk delivered to locations throughout parts of NJ, NY, NYC and PA. Drop by or give us a call to learn more today.